When I think back to my teenage years and summer, I'm reminded of the beaded shell and coral necklaces that we all the rage at the time. As an adult, I find myself drawn to them when I spot them in a flea market or thrift store. They always bring a smile to my face and remind me of endless carefree summers, tanning oil and bikinis. These 3mm un-dyed, natural coral beads are even more beautiful in person. But as an adult with tad less than (or a bit more than - depending on how you look a it) a perfect bikini body, those endless summers are long since gone but the fun-loving, longing that came with them is still all to alive and well. 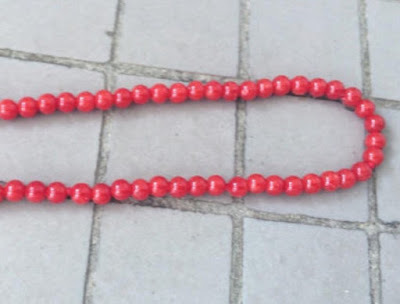 The trick now is finding the perfect beaded necklace that pays homage to those shell and coral numbers of my past without giving up my "grown-up" ways. pre-ban ivory, labradorite, black spinel, malachite, red coral, turquoise & lapis, all with a 14kt white gold clasp. Today's layered looks call for versatility but I didn't want to give up my desire for something unique that could easily transition from the work week to the weekend. A little bit of my own "summer memories" to wear in my now grown-up world. Always on the hunt for the perfect compromise that offered the versatility I wanted came to an end the moment I found Ming at Rainbow Quartz Jewelry. This wonderful pre-ban ivory necklace was simply restrung by Ming to better suit the 17.5" length I felt was ideal for layering. This look with faceted, 3mm quartz beads adds just right amount of sparkle to any outfit. I was looking for extremely high quality beaded necklaces in a variety of stone options that could easily accommodate a variety of charms and pendants and still be perfect for layering. I wanted small stones in the 3 mm range with white gold clasps that I could slide pendants on and off over without damage. 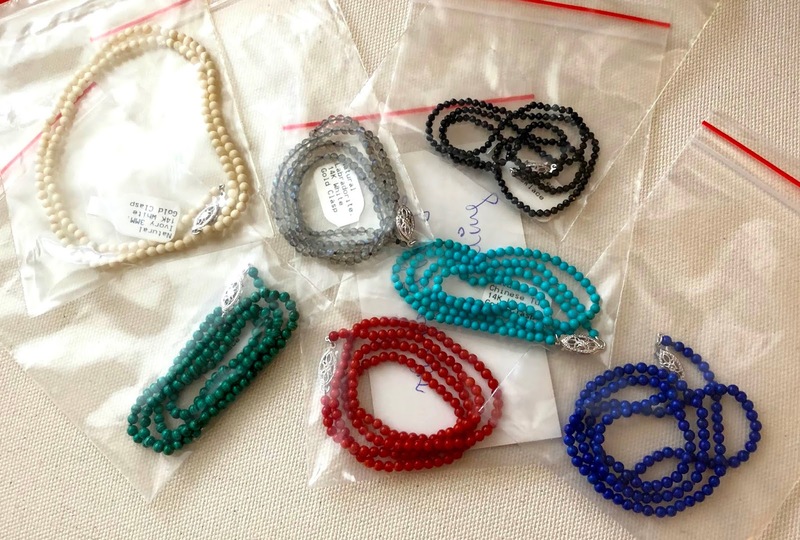 Initially, I was looking for coral, lapis, turquoise, malachite, labradorite, onyx and agate. The goal was to have a collection that could be easily interchanged with a variety of pendants made from a variety of stones themselves. The smooth 3mm labradorite beads are the perfect compliment to the caged egg pendant by Mia Katrin. I reached out to Ming to see what my options were and she definitely delivered! 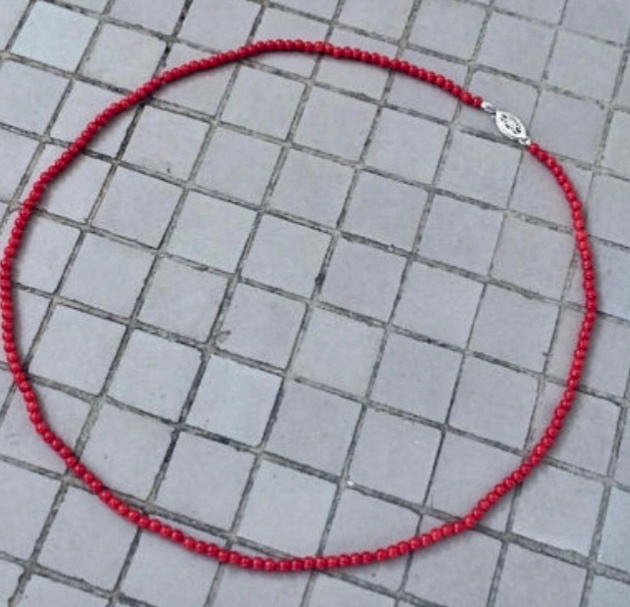 Ming was willing to work with not only the stone selection that I was looking for but also specific lengths, bead size and my request for a 14kt. 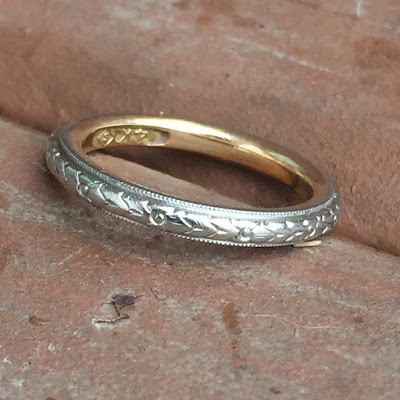 white gold clasp. The filigreed white gold clasp is the perfect touch of class - a far cry from the magnetic twist clasps of our childhood. Her workmanship is exquisite! The knots are barely visible allowing for flexibility and movement in the necklace itself which, naturally, makes getting pendants or charms on/off quite easy. Yet the necklaces have enough weight to make them sturdy enough to support the weight of larger pendants or brooches. It is this fact alone which sold me on Ming's designs. The bonus is that the heft of them also makes them ideal for layering yet feminine enough to still have a wisp of those long-lost summers!